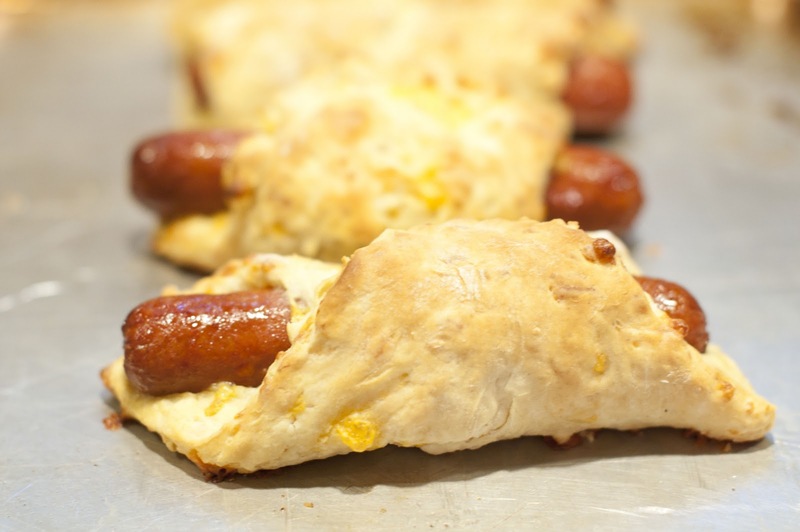 Did you know that pigs-in-a-blanket may be as old as the 1600’s? Despite rumors that it is an invention as modern as 1957, field laborers in the England of the 1600’s had what was essentially the same dish. Putting meat inside of dough was an obvious solution for a quick and nourishing meal on the go. The earliest written record of the modern dish is in Betty Crocker’s “Cooking for Kids”, which was published in 1957. However there are various personal testimonies claiming to have enjoyed this dish before the book’s publication. There is a trucker legend that puts its creation at an even later date, some time in the 1960’s, attributing its creation to a diner along route 66 in Oklahoma. Still other legends attribute its creation to the far east, claiming Asian cultures put fish in a similar roll. 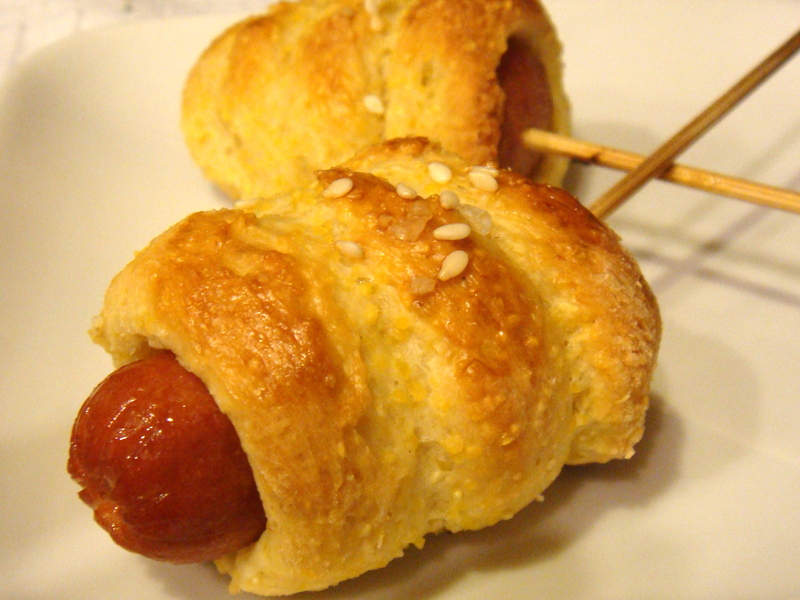 The legend claims that American’s copied the dish with hot dogs and biscuits after the fact. Whatever its origin, this little delight has become a national favorite. NOOO!! Must resist!! They are EVIL!!! OH NOOOO!!!!NOOOO!!! SHE MENTIONED BACON!!! Yum! There is a bagel shop in Chelsea, MA called Katz’s and they make bagel’s stuffed with the best tasting hot dogs. They used to make them with the ends sealed, but the dumb health department requires that the ends remain open. When you could peel one end off and leave the other, it was ideal for slipping a bit of mustard and relish down the dog! It would be nicer if the made them in a variety of bagel flavors to choose from, but it’s probably too costly to maintain. Here in the UK, ‘Pigs in Blankets’ are cocktail sausages wrapped in bacon – no pastry involved! That’s interesting. I can see them doing it in the 1600’s. I love them, though, yummy! Oh do these look heavenly.